It is fair to say that at our local courses, coming across a fellow golfer who clearly has some kind of disability is a relatively rare phenomenon. I do know that there are locals with disabilities who play but on my all-too-rare sorties out onto the golf course to frighten the local wildlife, I seldom encounter anybody other than other able-bodied golfers. The one marked contrast to that occurred several years ago when my brother and I were playing our local course. We had just completed the first eleven holes and were walking across from the 11th tee to the 12th, which facilitated a five minute walk across a couple of roads (our local course is in two distinct areas, separated by a small local road). As we arrived on the 12th tee, we could see a disabled golfer finishing off at the second hole just behind us. 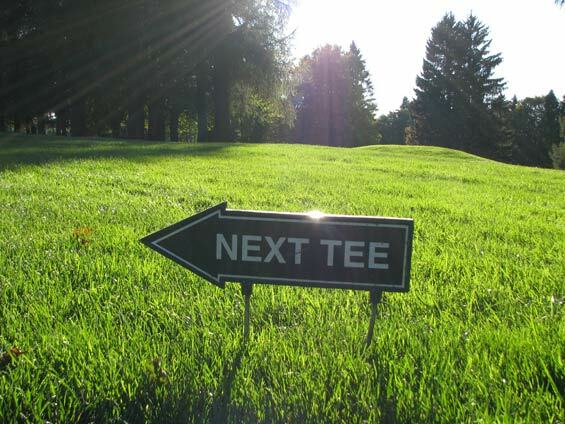 Now, many locals who do not have time to complete a full 18 holes, will play the first and second hole, before walking down to the 12th tee and playing the last seven holes, especially in the evenings or when the course is quiet. While my brother and I waited for the group in front to move out of range so we could drive safely, the chap who had just finished off at the second hole hobbled down towards us. Of course, we agreed and he introduced himself as Jim. He explained that he had been waiting for his colleague to meet him, but that he had been delayed at work, so rather than head home Jim decided to play the nine holes in the front field. Now when a new playing partner is part of your group, the dynamics of the group shift a little. My brother and I both felt a little awkward about asking Jim what had happened to his leg. It was clear something was obviously wrong with it by the way he moved and as we waited for the fourball in front of us to move out of range, I asked him if he had hurt his leg prior to playing. Jim laughed “No” he said, hoiking up his trouser leg to reveal a prosthetic. “I lost part of this leg a few years ago due to diabetes. Doesn’t stop me playing though… however badly!” he grinned. In his bag he carried a shooting stick and explained that he used it during a round to rest on to stop his foot aching. It was an ideal solution to the problem and he sat on it as we finally saw the group in front move out of range. What followed in the next nine holes of golf was as close to a golfing education as I have had in many years of playing. As our new playing partner we gave Jim the honour of teeing off and he struck a short but perfectly straight tee shot around 160 yards. It was not a long tee shot by any means and it was clear that Jim, who had told us he was a low handicap golfer in his prime, had found an adaptation to his swing. I don’t know if it was our shared ignorance or lack of experience that led my brother and I to assume that it would be us that would be offering words of encouragement to Jim over the next few holes. I mean 180 yards with a 3-wood from the tee was hardly likely to worry us, we could both hit 6 or 7 irons that distance on a good day. “That’s ok, nice and straight, nice roll on it too,” I observed. “Aye, it’ll do,” Jim agreed. We both took our tee shots and both sailed far past Jim’s effort, mine into the rough down the right and my brothers into the rough down the left. Not ideal, but not insurmountable. We walked with Jim down to his ball as he explained how he’d taken up golf again several years after losing his lower leg and feeling that he’d never play again. His next shot was with the same club. Once again, it was beautifully straight, landing perfectly in the middle of the fairway in an ideal situation for a short approach to the green. My ball was plugged awkwardly in the long grass. Two hacks later, I’d managed to advance the ball about 100 yards down the fairway. My brother couldn’t even find his ball in the grass and had to declare a lost ball and drop a second, slicing it wildly towards the 16th fairway. This was the template set for the remaining few holes. Jim would hit the ball perfectly straight, then sit patiently on his shooting stick while my brother and I, the able-bodied golfers, hacked around him. We’d then write scores of several over par on our cards, while Jim pretty much played par golf for the remainder of the round. Sure, Jim couldn’t hit the ball as far as he once could. But he hit it straight with unerring regularity. On and around the greens, his touch was still clearly evident. It was a golfing lesson in more ways than one, because as my brother and I continued to struggle with our games, Jim would offer soothing words of advice and encouragement. His advice proved fruitful too, over the final few holes we both noted that our play had significantly improved, so much so that we were now matching Jim’s scores on a few holes. As we shook hands on the final green, Jim thanked us for our time and said that it was a pleasure to play with us. He told us that when he asked golfers if he could join them, they’d often turn him down as they didn’t want ‘him to slow them down’. In the end, this memory stuck with me for many reasons; the first being not to judge a book by its cover, secondly not to make facile assumptions that because you can hit the ball 250+ yards that you are a ‘good’ golfer and lastly and perhaps most importantly, the golf course is a great leveller and really, you should not judge people because of any outward disability, but on their golfing ability alone. How do Blind People Play Golf on a Golf Course? so true. I can drive it 300 yards, and I’ve been trounced by 80 year old ladies, children, and the disabled. Golf teaches so many lessons. I have always admired the courage and strength of those with disabilities. They tend to laugh in the face of adversity while many times we run from it. With a boyfriend that has struggled with Diabetes, I found this story very touching. Thanks for sharing. Thank you for your comment. 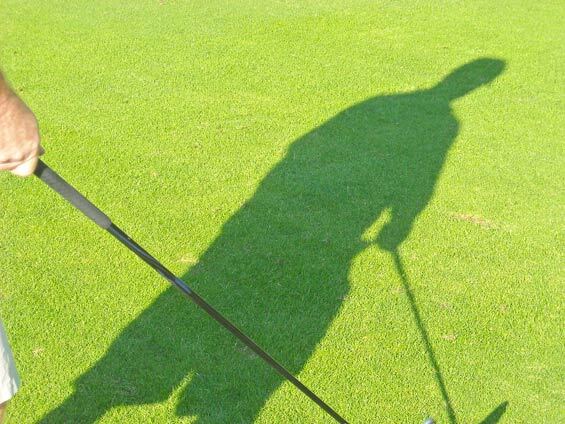 Please stay tuned for more articles on how GorillaGolfBlog.com supports full integration of people with disabilities in golf around the world. 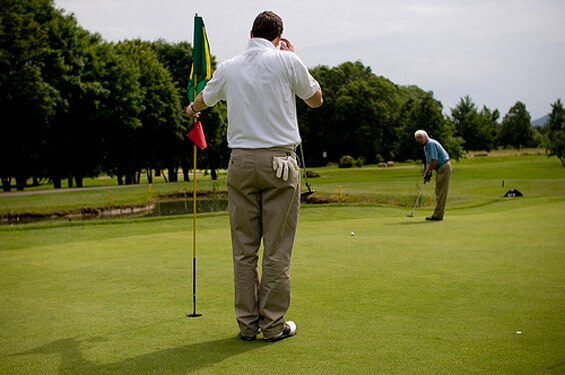 In addition on how we believe golf can be a useful activity for those with disabilities. Thank you for your comment. 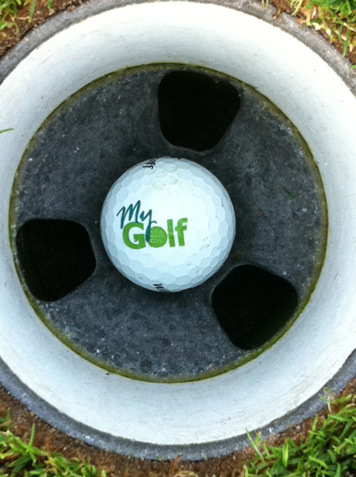 Here At GorillaGolf, we have a special interest in promoting golf as a therapeutic activity. Stay tuned for more information. This was inspirational in many ways. The human spirit can surpass so many obstacles. This article nails it. thanks. Great! But should not you think that the Disable is an offensive term! 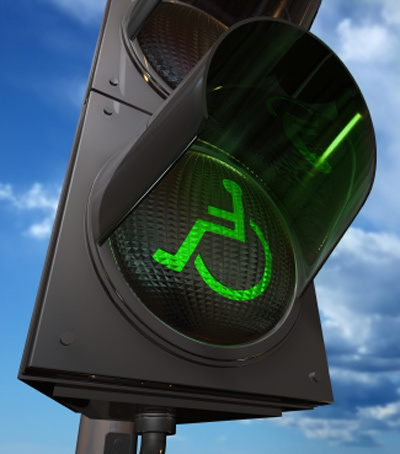 … It should be Differently Able! … And the people with disability definitely shows that they have ability to show in different way! And of course you people are with them! Respect to you!